Jodi Picoult is an American novelist born in Nesconset, Long Island, New York. She has had a very diversified career with her education in writing being received at Princeton University. She had a variety of jobs ranging from writing short stories when still in college for Seventeen magazine and editing text books, to becoming the writer of the DC Comics Wonder Woman (Vol. 3), issue #6 in March 2007 and #10 in June of 2007. 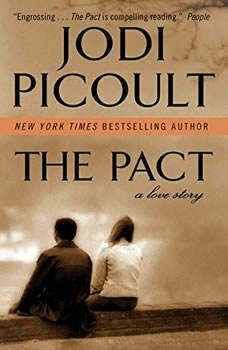 Picoult’s first novel, Nineteen Minutes, about a school shooting in a small town became #1 on the NY Times Bestseller List. Then her second novel also debuted #1, entitled Change of the Heart. In 2009 her novel, My Sister’s Keeper was adapted to a featured film. I really liked this book. The two characters in the story come alive through her writing. I don't want to spoil the end for anyone but it is unexpected and pretty unrealistic but makes for a good ending. i really enjoyed this fast paced story. If you are a sap for love stories, this is your book!